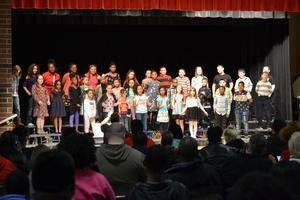 North students from grades 3 through 6 showcased their vocal skills and musical talents in the Spring Concert held in late March. 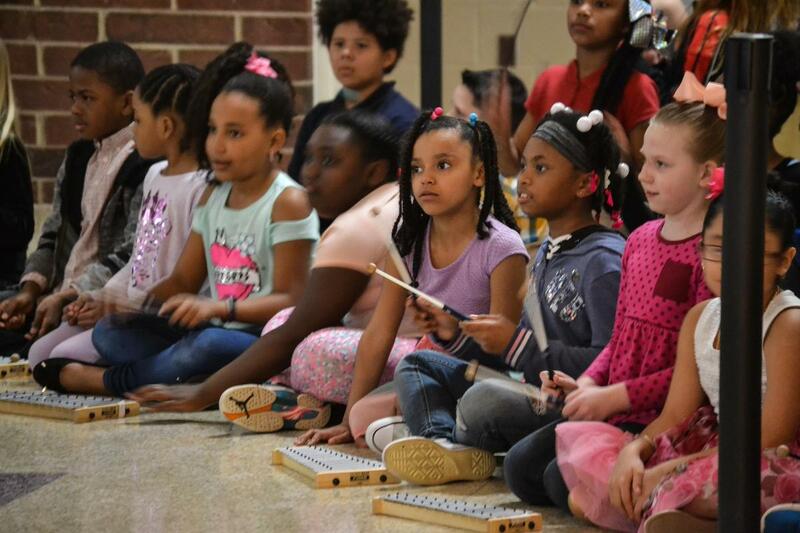 Music Teachers, Brian Wietmarschen and Katie Personke presented 3rd and 4th graders who sang "Feelin' Good" followed by a xylophone piece based on nursery rhymes called "Humpty Dump." Mr. Maxsam and Mr. Pardi also joined in for “Humpty Dump”, with Mr. Maxsam on the piano and Mr. Pardi on the drums. 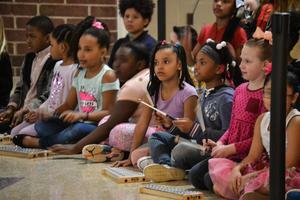 The 5th and 6th graders played "Happy" on the crash cans followed by a recorder song called "Dixie Cat" with solos by Sara Brown and Trinity Austin. 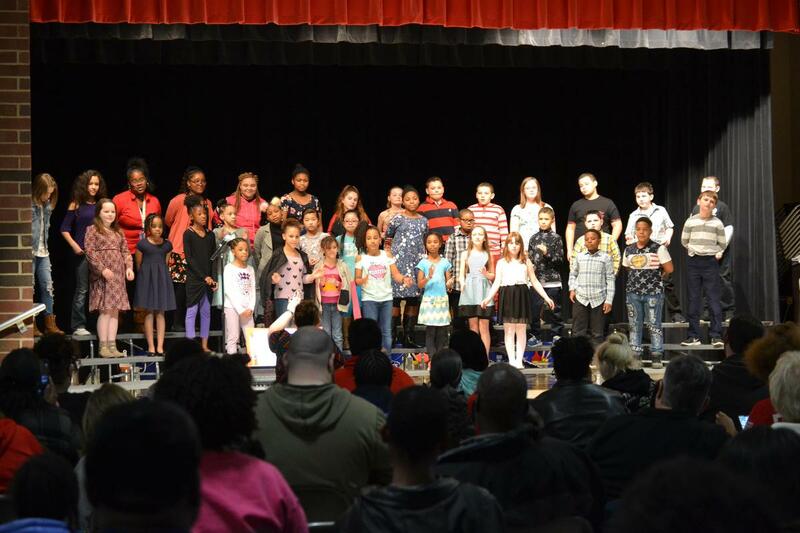 Then the North Choir Club performed "Remember Me" from Coco with a solo by Savannah Tillman, a spiritual called "Keep Your Lamps", and "Man in the Mirror" by Michael Jackson. Finally, all grades (3-6) combined to play "YMCA" on the crash cans and “Raining Tacos” with guest tacos, Mrs. House and Mr. Pardi, dancing. 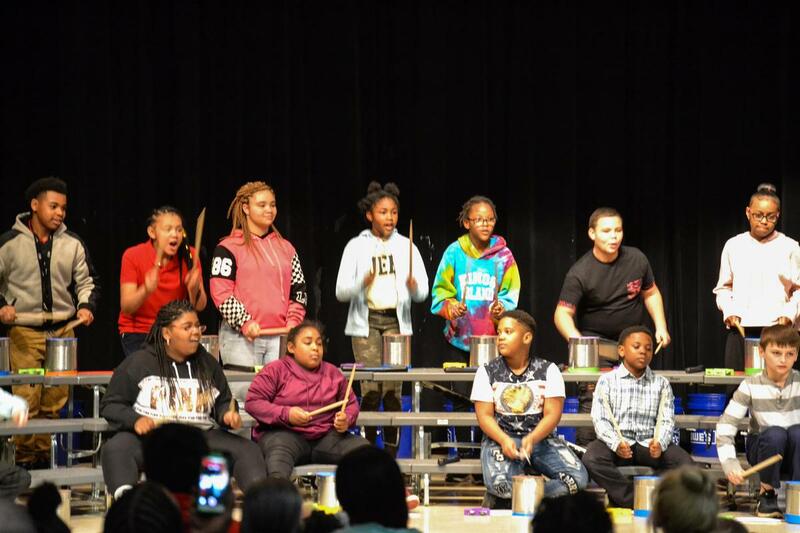 The students have been using crash cans, which are made up of a can, a cutting board, and a tambourine. The cans were provided by the cafeteria. They make up mini-drum sets that the students can play.